Professor of Theatre with a specialization in Costume Design, Prof. Anselm has been at Bloomsburg University since 1986. She has a Master of Fine Arts from Carnegie Mellon University and previously taught theatre at University of Pittsburgh and the State University of New York Stonybrook. Prof. Anselm has been actively involved with the Kennedy Center American College Theatre Festival for 20 years, as Region II Respondent, Design Co-chair, Vice-chair, Chair, awarded Certificates of Merit for Ensemble work, Costume Design and Direction, two Kennedy Center Medals of Honor in recognition of her work as Regional Chair, and service on the National Executive Committee. She has served as Design Respondent, Irene Ryan Semi-finals Judge and Production Respondent. Karen co-hosted the Irene Ryan Evening of Scenes, 2002, served on the 2003 National Selection Team, traveling all over the country to select the best university theatre to come to the National Festival at the Kennedy Center. In 2005, she was the Facilitator for Design at the National Festival and presently is serving on the KCACTF Executive committee as the National Member-at-Large and has been elected to be the National Chair of Design, she will serve as Vice Chair 2006-2009, and Chair through 2012. Karen Anselm she has designed costumes for more than 150 productions. Some of her favorite costume designs include: Romeo & Juliet and Trojan Women at Bloomsburg University, Winter's Tale at Bloomsburg Theatre Ensemble, Off Broadway productions of Marry Me A Little at Queens Theatre in the Park, Hot N Cole for Florida Stage, Private Lives for Unseam'd Shakespeare at City Theatre in Pittsburgh, (for which she was recognized in Pittsburgh's Best of 1999 list), The Bacchae for Modern Theatre of Myth, produced in NY and toured in Cyprus, and the world premiere of Joan for Endurance Theatre, NYC and Edinburgh's Festival Fringe. Most recently Anselm designed the costumes for an Off Broadway production of The Three Sisters for La MaMa, NYC. In 2003, Ms. Anselm worked with Dell'Arte on an extreme physical theatre adaptation of The Bacchae, entitled Wolf Sonata Bacchae. She and her costume designs, as well as some of her students have toured Cyprus, Greece, Hungary, Scotland and Slovakia, participating in such festivals as Cyprus Centre of International Theatre Institute Festival of Ancient Greek Drama, Istropolitana International Theatre Institute Festival, and Edinburgh Festival Fringe. Honored for her international work by Bloomsburg University's Institute for Culture and Society, Professor Anselm received the first Award for Outstanding Creative Works in 2003. She taught a Bloomsburg University Scholar's Course Seminar in Script Analysis and regularly teaches Career Seminar: Theatre in Bloom, Introduction to Theatre, Costume Design, Fundamentals of Design, Script Analysis, Theatre Appreciation, Stage Makeup. Costume History and Costume Construction. Her design students have been recognized and participated at KCACTF National Festival in 2000 and 2005, and participate regionally every year. Her students have gone to graduate school in design at Brandeis, CMU, Rutgers and SMU, designed costumes on and off Broadway, at Williamstown Theatre and for Saturday Night Live. Ethan Krupp has been part of the Theatre & Dance Division faculty since Fall 2006. He serves as the Technical Director for the division, as well as a lighting, scenery, properties, and sound designer. He teaches Theatre Appreciation, Theatre Production/Stagecraft, Scene Design, Lighting Design and Theory, and Seminar In Technical Theatre & Design. His professional design work has been seen at the Bloomsburg Theatre Ensemble and Electric Theatre Company (Scranton) in Pennsylvania, as well as more than a dozen other theatres in Texas, Montana, and Virginia. Before coming to Bloomsburg he taught at the University of Houston-Downtown. He holds a BA in Journalism and Mass Communications from Washington & Lee University (1997) and a MFA in Theatre Design and Technology (Lighting and Scenic Design Emphasis) from University of Montana (2000). He has been involved in theatre since junior high school when his love of Neil Simon's plays was created by extensive scene work in Adele Mallin's 8th Grade Drama Class. He continued his theatre work in high school under the direction of Barbara Goodwin onstage and Ronald Masters in the scene shop in the LA suburb of Eagle Rock, CA. After a short and misguided stint in print journalism in college, he returned to the theatre and decided to go to graduate school for theatrical design. David A. Miller is a professional director, playwright and educator. David joined the faculty at Bloomsburg University in the fall of 2012 and teaches all levels of acting, directing and playwriting. David directs mainstage productions for the BU Players and mentors student-directed projects. David is a resident director for Amphibian Stage Productions in Fort Worth, TX. His Amphibian productions include The Nosemaker's Apprentice: Chronicles of a Medieval Plastic Surgeon, Wittenberg by David Davalos (Outstanding Direction and Outstanding Performance by an Ensemble, Dallas Fort Worth Critics Forum), Gutenberg! The Musical! (Best Production of the Year, Reader's Choice, Fort Worth Weekly), Below the Belt by Richard Dresser (Outstanding Direction, Dallas-Fort Worth Critics Forum) and readings of Mystery of Irma Vep and All This Intimacy. NYC Directing: NYMF, Prospect Theater Company, Vital Theater Company, WTE Theatre, Samuel French OOBR, Piper Theatre, The New Acting Company. Seattle: Annex Theater, Seattle Children’s Theatre. As a playwright David’s recent plays include Semi-Permanent (Elephant Ears Reading Series, Philadelphia, PA, 2016), Restoration/Conservation (Published in The Paragon Journal, Semi-finalist for The 15th Annual 10 by 10 in the Triangle Festival of New Short Plays at The ArtsCenter Stage, Carrboro, NC, 2016), The Flames (The Collective's C10:Comedy, New York, NY, 2015), and Mystic in the Savage State (Workshop, Strange Sun Theater, New York, NY, 2015). David is the former founding Artistic Director of The Artful Conspirators, a Brooklyn-based collective of emerging and established theatre artists dedicated to creating new theatrical work that includes the audience as a participant in the theatre-making process. David’s work with the Conspirators includes directing Leaving IKEA: A Play in Two Cantos and creating Brooklyn Underground: Theatrical Stories from the Green-Wood Cemetery. David has taught, directed and mentored students throughout New York City at Wagner College, Playwrights Horizons Theatre School (NYU), Manhattan College, City College and Kingsborough Community College, among others. 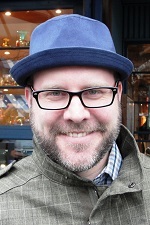 He has worked extensively in theatre education for young people as a teaching artist in the classroom and in leadership roles such as Director of Educational Outreach for Seattle Children’s Theatre and as Director of Education at Roundabout Theatre Company. David is a former Theatre Mentor for the Richard and Mica Hadar Foundation, a Drama League Directing Alumni, and was awarded an SSDC Directing Observership. He has a BA in Theatre (Acting and Directing) from Western Washington University and an MFA in Directing from Mason Gross School of the Arts at Rutgers University. Samantha holds a Master’s Degree in Opera and Theatre Performance from the University of Maryland, College Park, is an Adjunct Instructor for Bloomsburg University and Bucknell University where she teaches Acting, Stage Combat, Voice and Dialect. She has also been a guest instructor and director at Susquehanna and Maywood University. This fall semester, Samantha is teaching Fundamentals of Acting and Voice and Movement at Bloomsburg University and directing Almost, Maine and choreographing the sword fight in Les Liaisons Dangereuses at Bucknell University. In addition to teaching and acting, Samantha is thrilled to announce that her contribution to the study of voice work in the newly published book: Acting Exercises for Non-Traditional Staging: Michael Chekhov Reimagined, by colleague and author, Anjalee Deshpande Hutchinson is available online. Associate Professor of Theatre and Dance, Julie joined Bloomsburg University in Fall of 2009. She holds a Master of Fine Arts from the University of Wisconsin-Milwaukee (dance) and a BFA from the University of Arizona where she studied dance, theatre and music. Previously a faculty member at Dominican University in River Forest, IL, she taught courses such as Directing, Auditions, and Dance Techniques, and had the opportunity to direct, choreograph, and collaborate on multiple productions. Julie was also a Master Teaching Artist for Changing Worlds, a non-profit that worked to bring art infused literacy programs into Chicago area K-12 schools. Julie worked professionally in the Mid-west/Chicago region for over 12 years with multiple companies wearing multiple hats. Ranging from aerial artist to dialect coach, to date, she’s directed, choreographed, &/or performed in well over 100 productions. A multi-Emmy nominated Director/Choreographer, Ms. Petry is a native of the beautiful Pacific Northwest and loves to travel and explore outdoors. She is the recipient of multiple grant awards, was previously selected for the "Best of New Dances” by the curator of Dance Chicago, and is an Associate Member of SDC. Directing/Choreographic credits include: Off Center Dance Co., ID; Summer Palace Theatre, WA; Centerlight Theatre, IL; Metropolis Performing Arts Center, IL, The King Center, FL (w/ Heartsong Communications); Dance Chicago, IL; Duets for My Valentine, IL; Around the Coyote Festival, IL; SoulStance Festival, IL; RASA Dance Chicago, IL; Aerial Dance Chicago, IL; Bucknell University, PA; The Bloomsburg Theatre Ensemble, PA; and the Bloomsburg University Players, PA. Performing includes: Kenny Rogers/ The Toy Shoppe National Tour; Light Opera Works, IL; The Southern Arizona Light Opera Company, AZ; Summer Palace Theatre, WA; Lira Dance Ensemble--a nationally touring Polish Dance and Music Company, which took her to FL to perform with the Sarasota Opera; Ballet Entre Nous, IL; (AMEBA) Aerial Dance Chicago, IL; Tom & Susana Evert Dance Theatre, OH; and Ensemble Espanol Spanish Dance Theatre, IL. She has appeared in Industrial Training Videos, taught Ellen Degeneres dance steps live on national TV via telephone, and worked as an extra on shows such as Turks. Additionally, she had the opportunity to work with the White Oak Dance Project and David Dorfman Dance through Columbia College community engagement programs. At Bloomsburg University, Julie heads up the Dance Minor program, teaches dance and theatre coursework, and enjoys soaking up the vibrant climate of creativity about the campus. Recent projects include creating two new works for the Annual Dance Minor Concert, and serving as Asst. Director/ Choreographer on Flood Stories, Too. Carrie Winship is a director, dramaturg, teacher, and scholar living in Williamsport, PA. Carrie holds a Ph.D. in Theatre and Performance Studies from the University of Missouri; an M.A. in Theatre History, Theory, and Literature from Indiana University; and a B.A. in Theatre and Sociology from Emory & Henry College in Virginia. Carrie joined Bloomsburg University in 2018 and teaches courses in theatre history, script analysis, and theatre appreciation. Recently a Visiting Instructor of Theatre at Lycoming College, Carrie taught courses in dramatic literature and theatre history, and directed. Located in Columbia, Missouri from 2011-2017 Carrie worked as a freelance director, dramaturg and stage manager while pursuing her doctoral degree. Her work in Columbia included collaborations with GreenHouse Theatre Project, Independent Actors Theatre, MU Summer Repertory Theatre and Talking Horse Theatre. 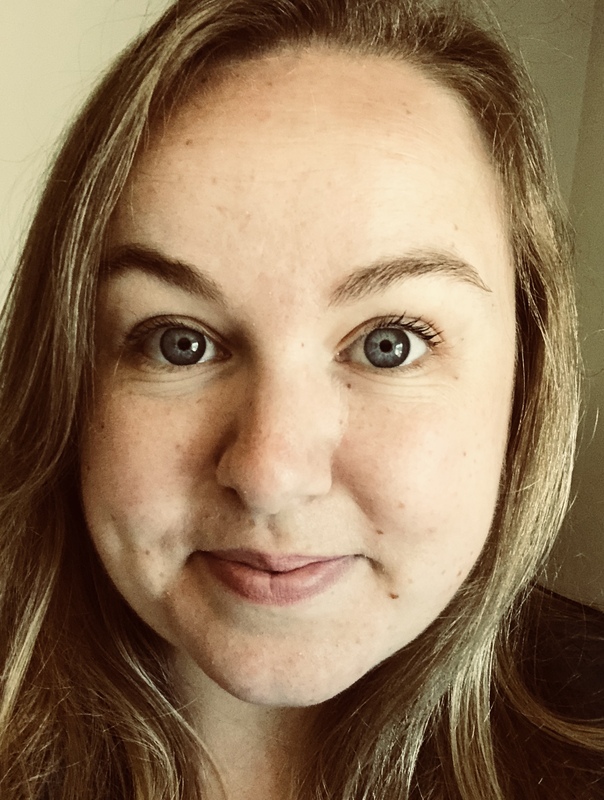 Carrie’s research explores women’s voices in practice and theory, as well as new play development, theatre pedagogy, dramaturgical collaboration, and devised theatre. She regularly presents at the Association for Theatre in Higher Education, the Mid-America Theatre Conference, and the Women and Theatre Program annual meeting. Carrie is particularly invested in serving platforms that cultivate new works: she coordinated the prestigious Jane Chambers Student Playwriting Award from 2013-2016 and has served numerous other initiatives including the Playwriting Symposium of the Mid-America Theatre Conference, the Missouri Playwright’s Workshop, and the Mizzou New Play Series. Select professional directing credits include: Hamlet, Dark Creation: The Mary Shelley Project, Measure, Don Juan: After the War, Our Town, Three Sisters (all with GreenHouse Theatre Project), Baltimore Waltz (Talking Horse Theatre), and The sHORT Women’s Play Festival 5 (Independent Actors Theatre). Select educational directing credits include: Stop Kiss (Lycoming College), Good Kids (University of Missouri), The Lost Slipper (University of Missouri), Aria da Capo (University of Missouri), Reasons to be Pretty (Indiana University), and The Marriage Proposal (Indiana University). Recent recognitions include: American Theatre and Drama Society Emerging Scholar Award (2017), KCACTF Stage Directors and Choreographers Directing Fellow (2016), KCACTF/LMDA Dramaturgy Award Finalist (2016), and the ATHE/KCACTF Graduate Student Award for Innovation in Teaching (2015).